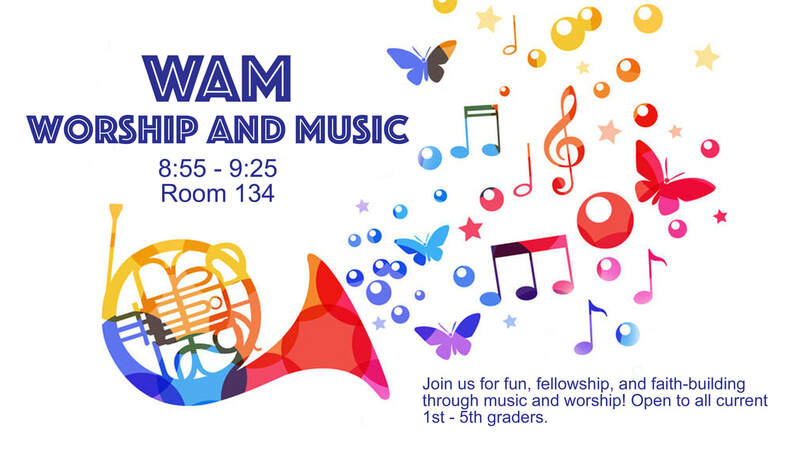 Join us for fun, fellowship, an faith-building through music and worship! Open to all current 1st thru 5th graders. Sunday mornings just before our church service, 8:55-9:25am, in room 134 down the education wing.